Local off-track betting officials have called on the state to release ten million dollars from a capital assets fund to allow for the expansion of the Catskill Region Off-Track Betting Corp. in a nine-county region that includes Putnam. 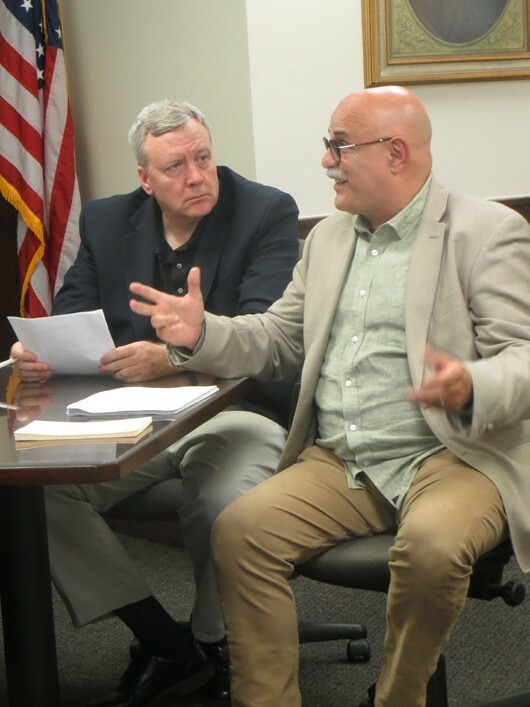 Putnam’s representative to the OTB Board is former Legislator Vincent Tamagna, who made his pitch to members of the county legislature’s Audit Committee at a recent meeting. Over the past decade, Putnam’s share of OTB revenue generated from its two betting parlors in Brewster and Mahopac has dwindled tremendously. In 2006, $840,000 was Putnam’s share of OTB funds. The cash flow dropped to $500,000 in 2008, $300,000 in 2010, $93,000 in 2013, an all time low of $63,000 in 2015 and for the first half of this year, only $35,000 has been returned to the county. At its peak, more than $145 million was generated at OTB parlors in the nine counties. At the conclusion of 2017, $65 million was wagered on horses at Catskill Region OTB parlors. Tamagna indicated that Groth will be attending the September or October meeting of the Audit Committee to continue pleading his case for reform in Albany.